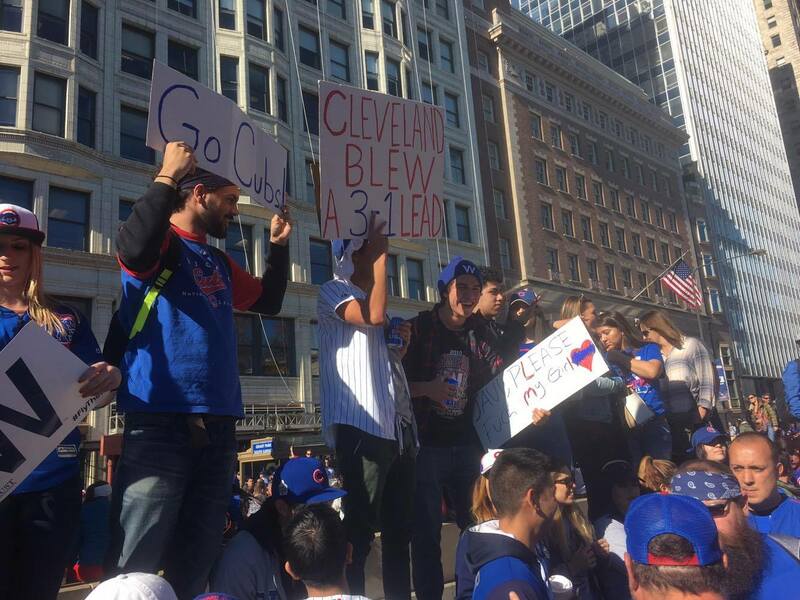 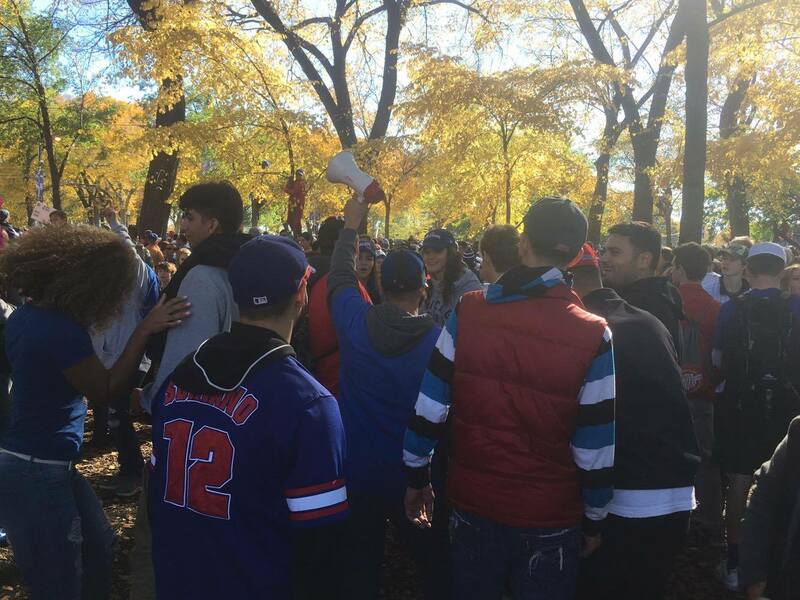 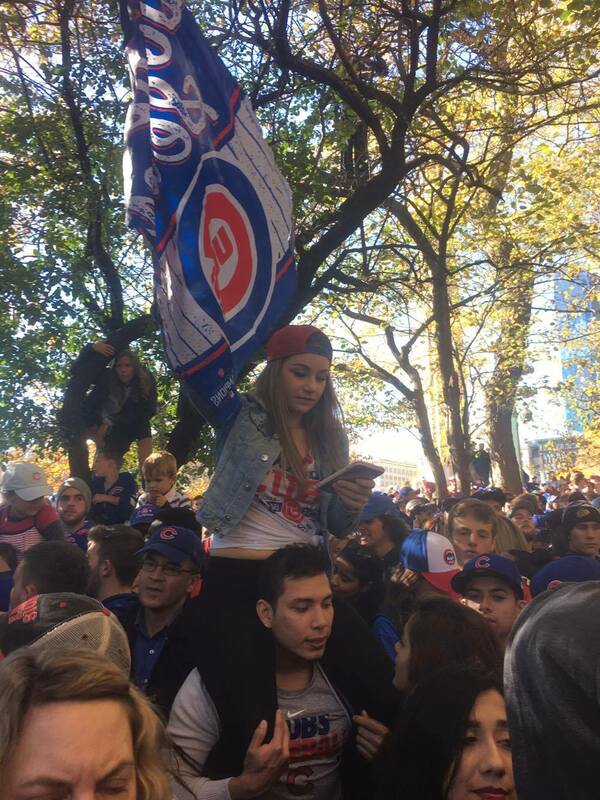 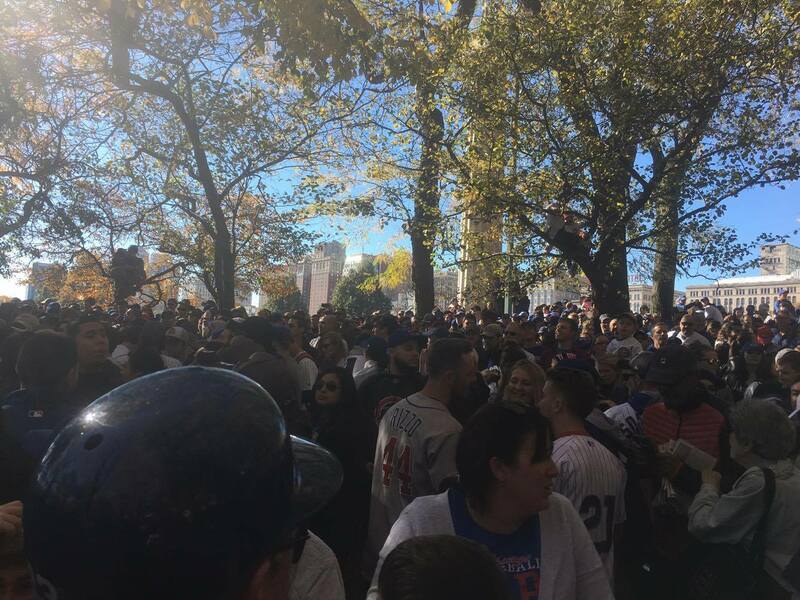 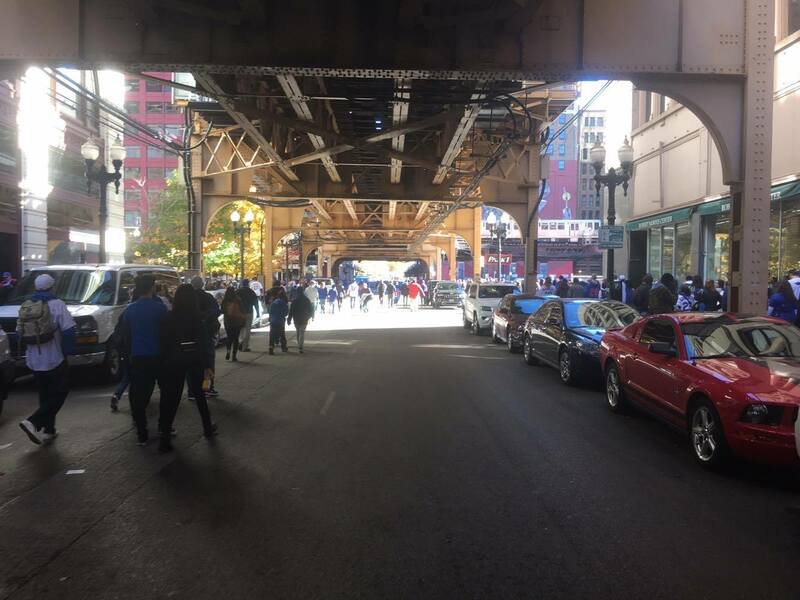 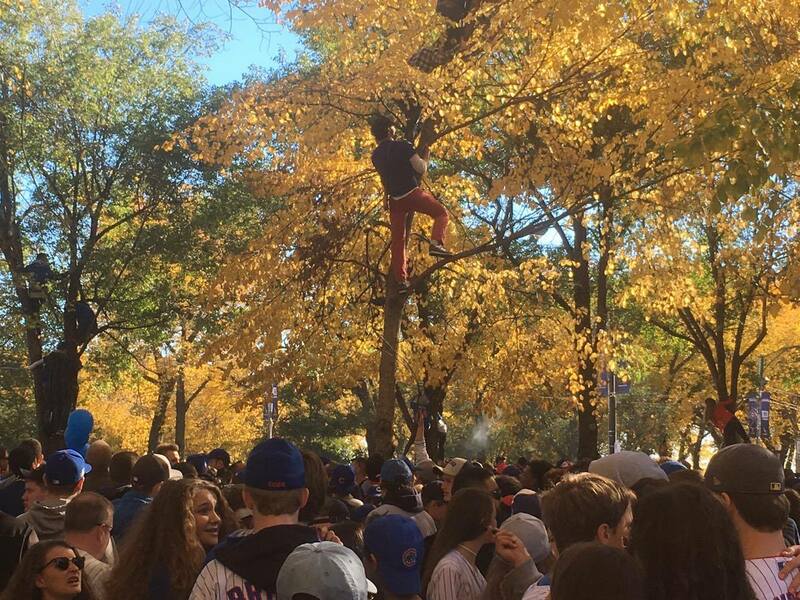 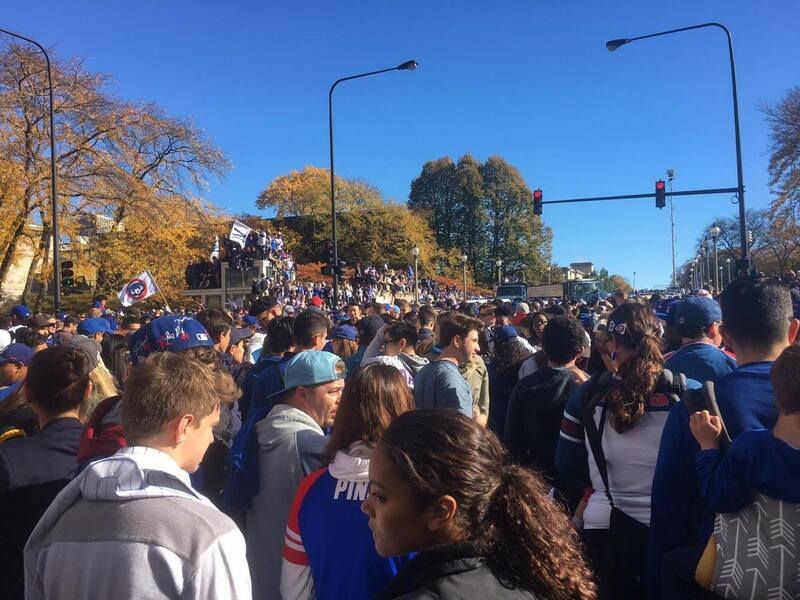 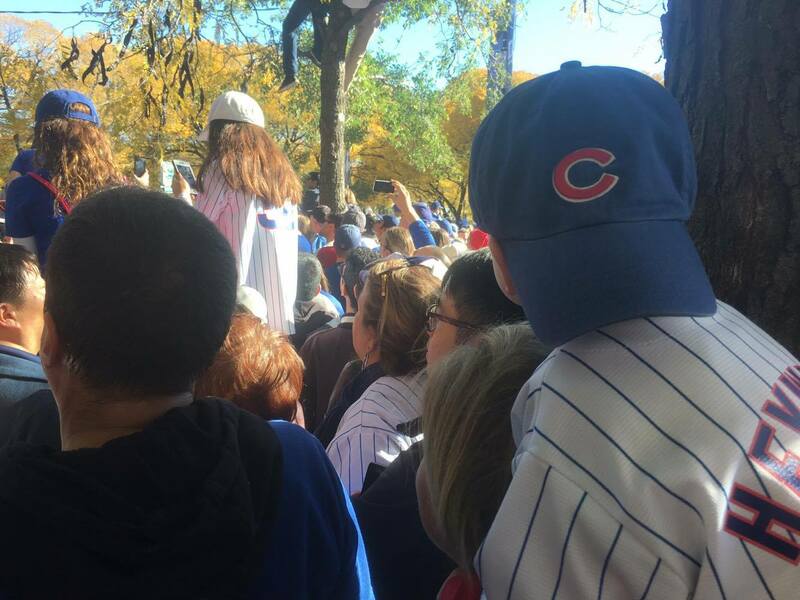 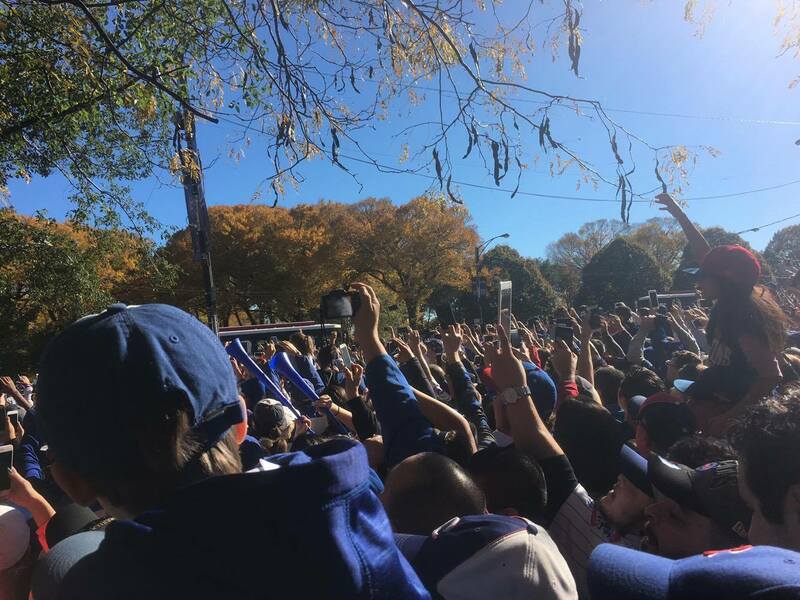 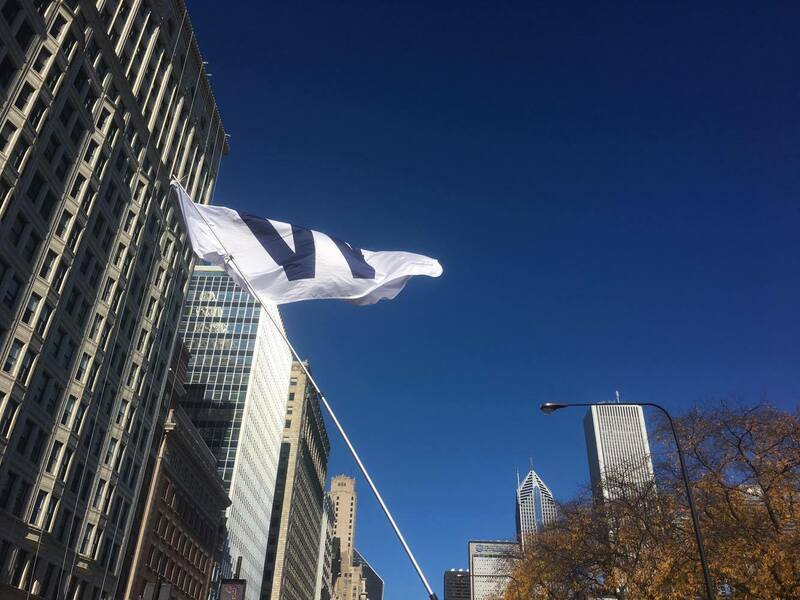 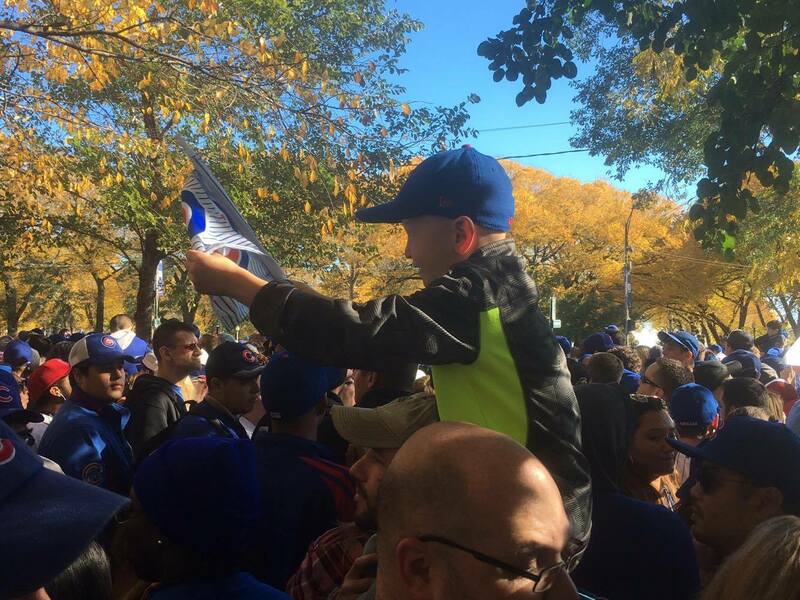 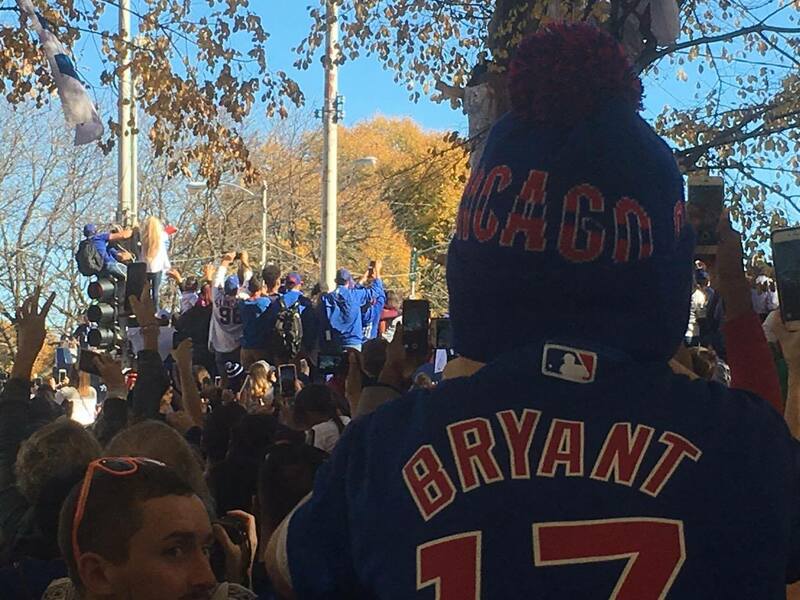 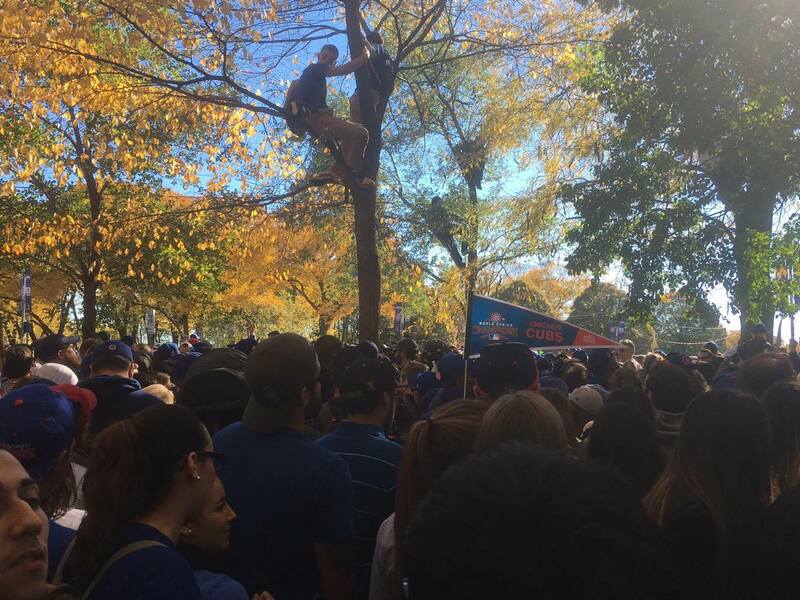 Today was the first time in 108 years that Cubs fans were able to celebrate winning the World Series. 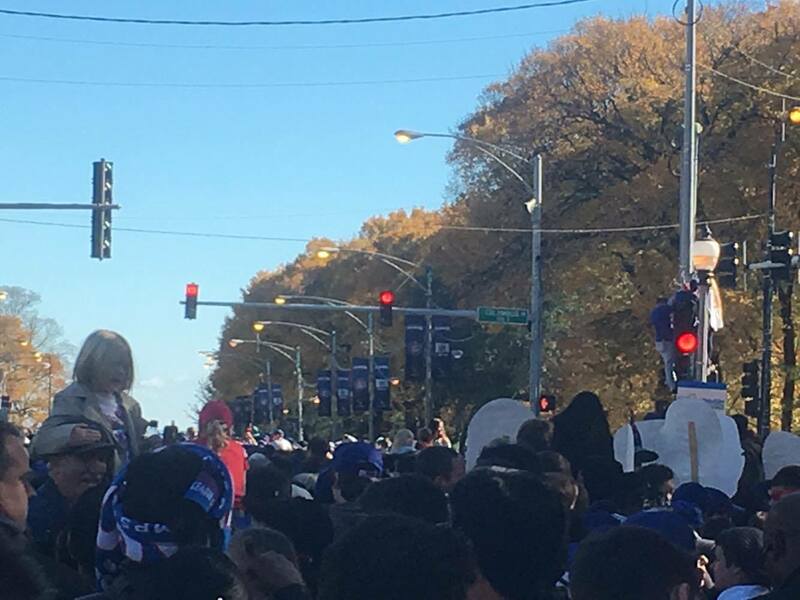 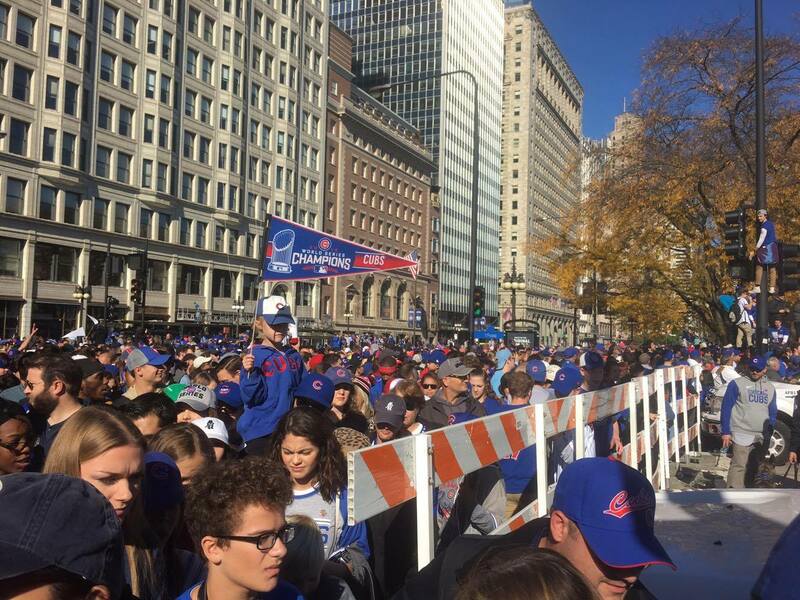 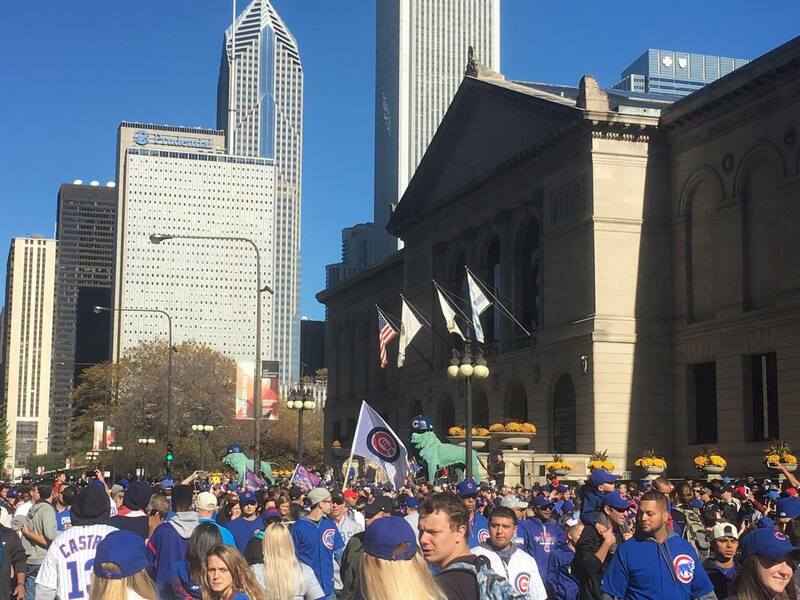 In true Chicago fashion, the team had a massive parade that ultimately drew around 5 million people, making it the 7th largest gathering in the history of the world. 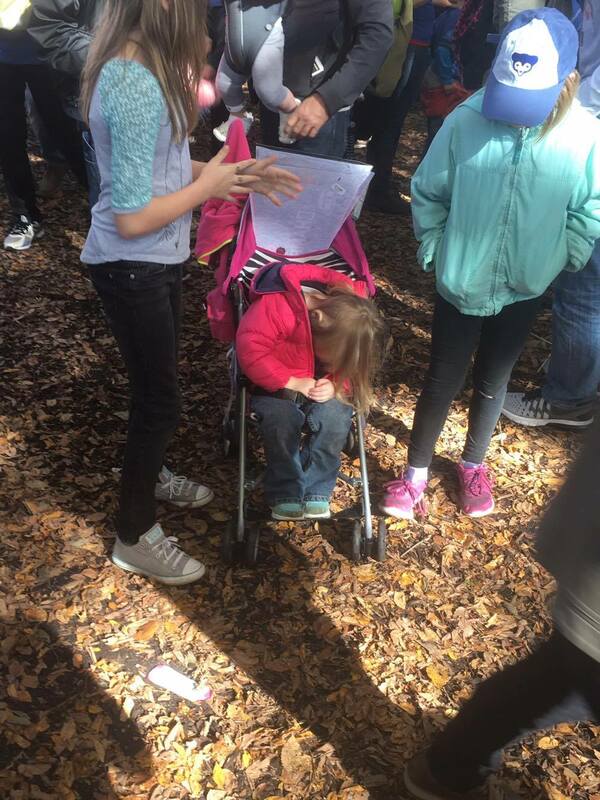 The whole series was inspiring, leading to a litany of incredible stories. 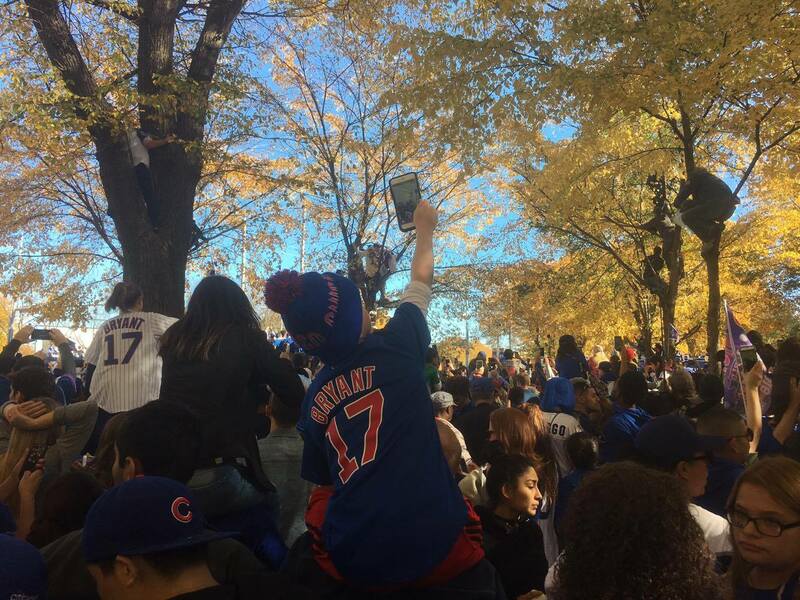 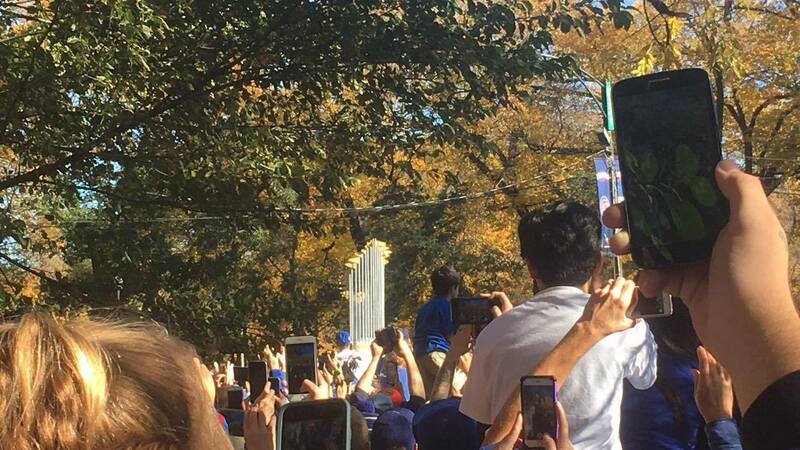 Game 7 of the World Series is already being called the “greatest game ever” by some, and that was reflected in today’s scene. 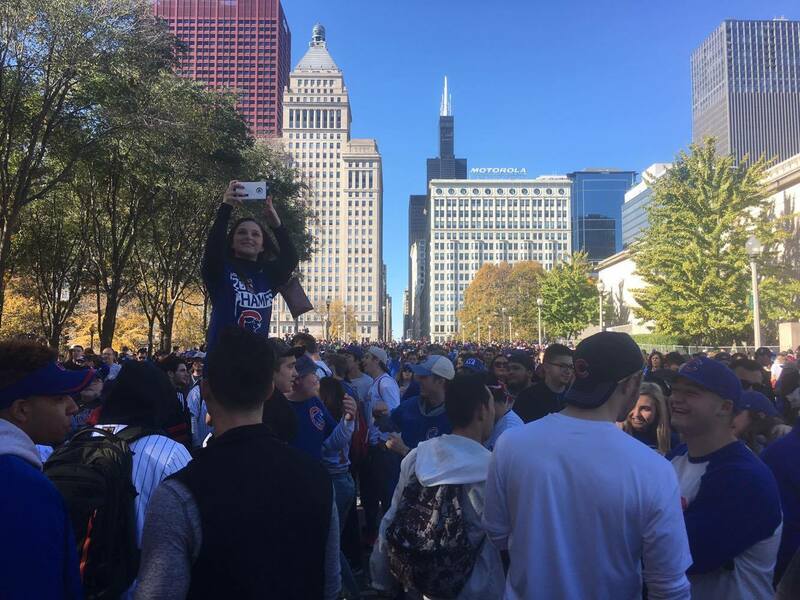 I experienced a bit of the chaos myself by watching the parade in Grant Park. 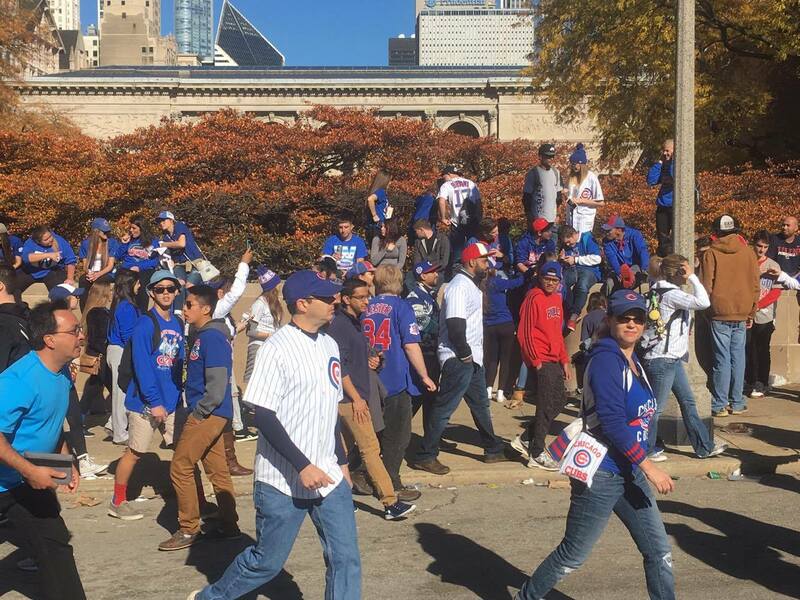 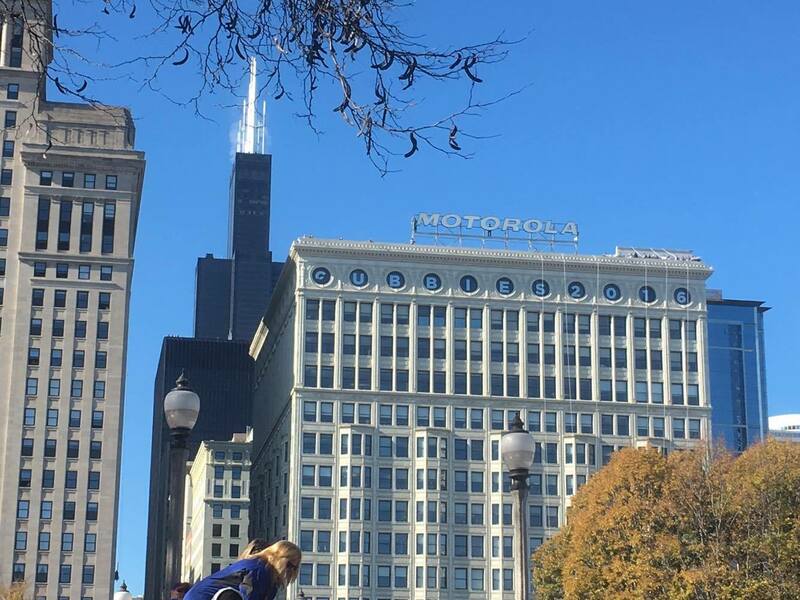 It was an unseasonably warm November day, and people were partying like it was 1908 all over again. 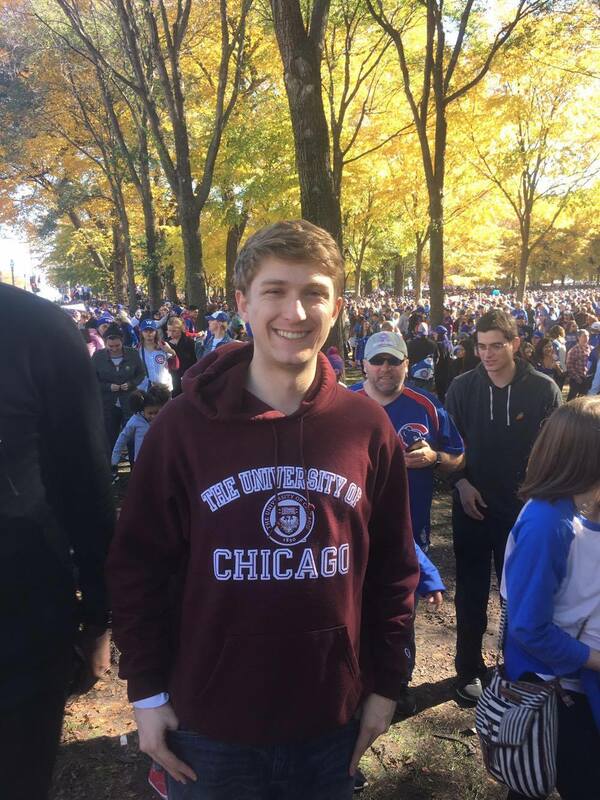 For more on political video games, Greece’s Brexit over 2,000 year ago, America’s first Donald Trump, and more, check out the rest of my Profiles in History here! 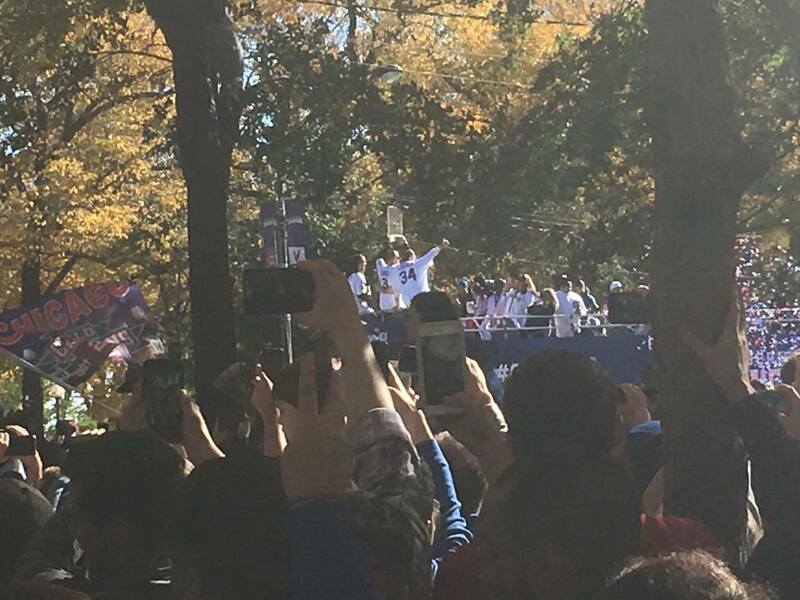 Here are some of my favorite pictures from today’s historic event. 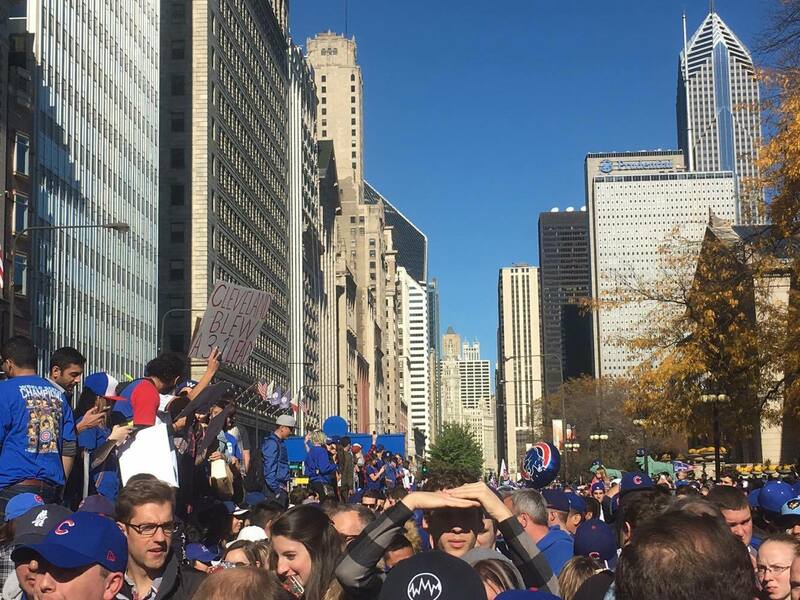 Streets were for people today. 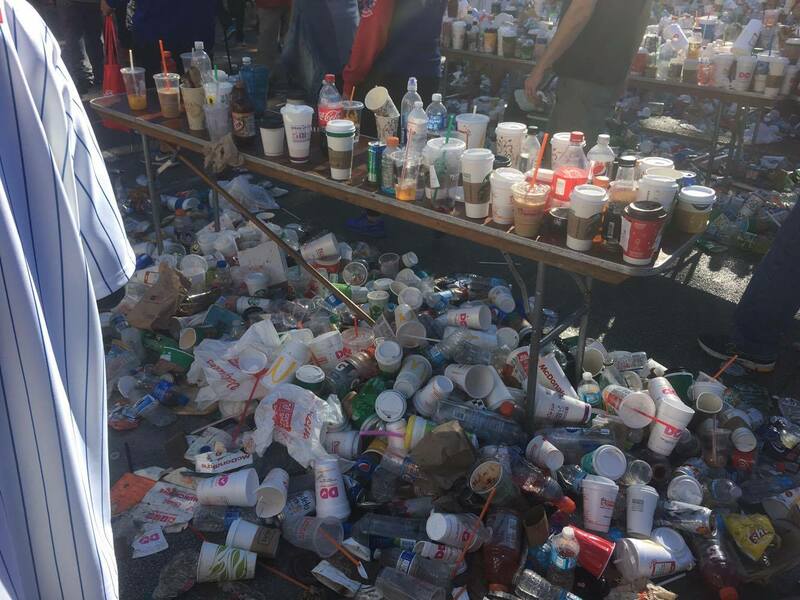 Some people were exhausted after watching all of the post-season games. 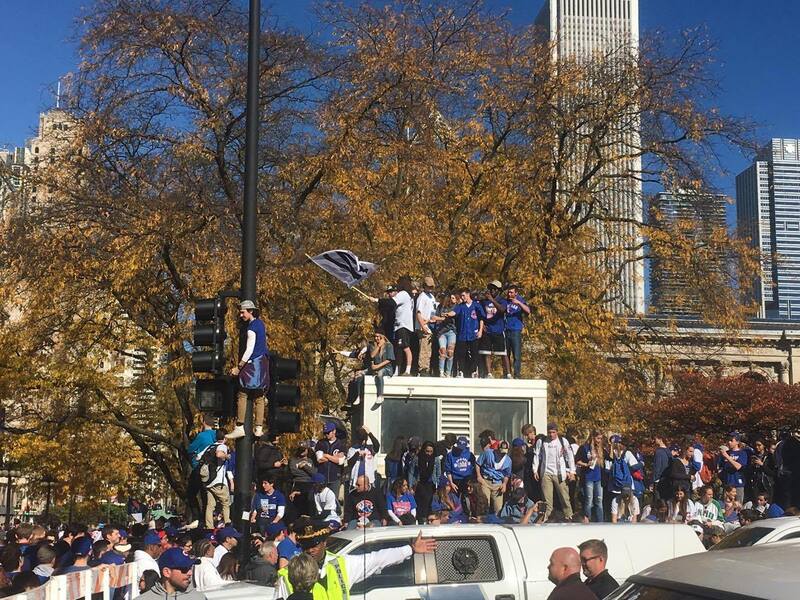 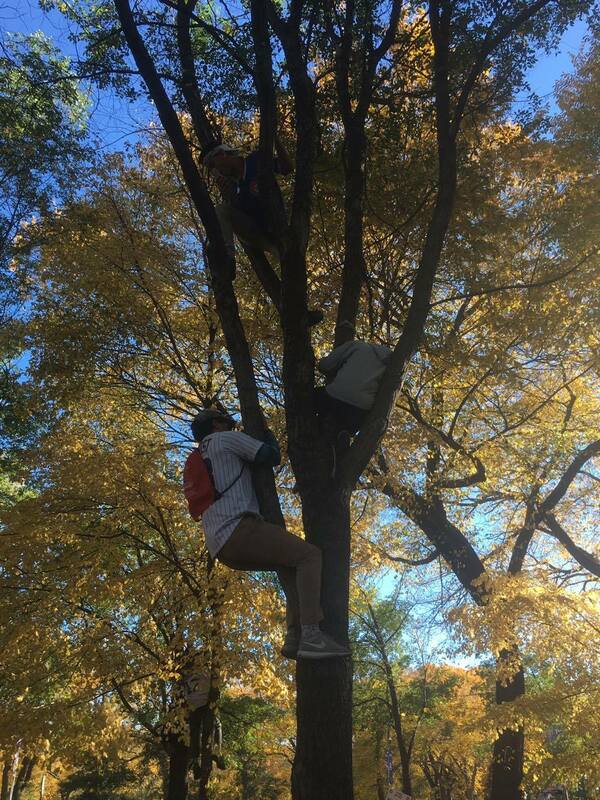 Traffic lights, trees, and bus stops were used to get better vantage points. 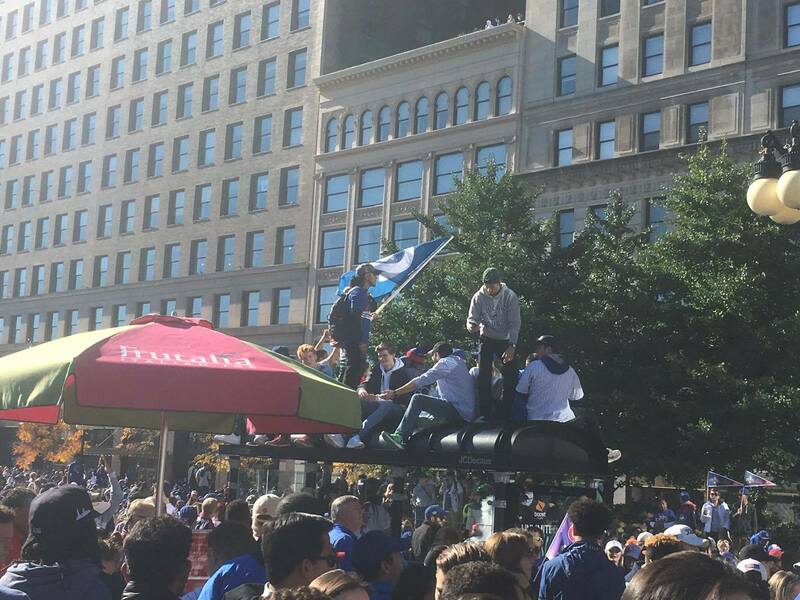 Even the lions outside the Art Institute were celebrating.